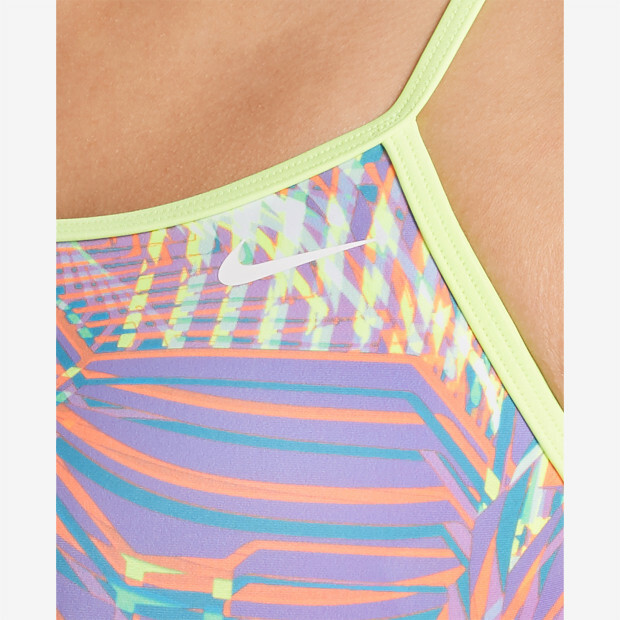 Nike Swim Women's Whirl Modern Cut-Out One-Piece swimsuit has a streamlined look with skinny straps and a whirl of color. This sporty one-piece swimsuit has light bust support, minimal back coverage and high leg openings for a greater range of motion. The fabric is chlorine-resistant and is fully lined with flat seams for comfort as you swim.